Got something to carry? Haul it along in these U.S. Military Surplus Laundry Bags. 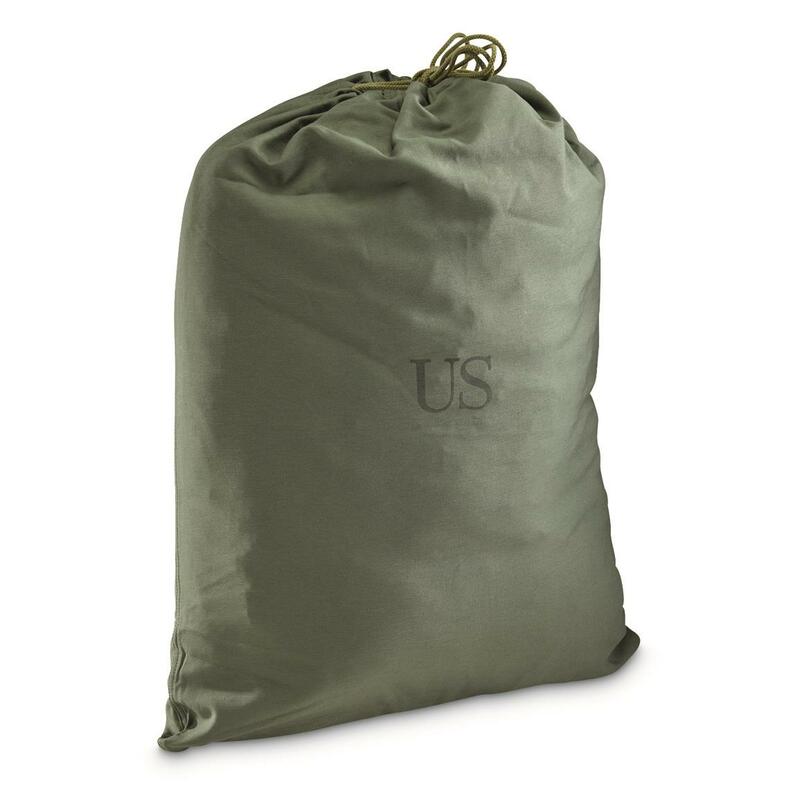 Heavy-duty cotton canvas is rugged enough to carry laundry around the house or hunting clothes to the cabin. Great for road trips, too. Drawstring cinch top and metal grommets keep your content secure. Includes 2 brand new U.S. Military Surplus Laundry Bags.